Read the GVNow article featuring the Laker Connections program! A joint conference of the Great Lakes History Conference and Conference on the Americas! To address this history and its legacy, our keynote speaker will be Héctor Tobar , author of the critically acclaimed, New York Times bestseller Deep Down Dark: The Untold Stories of 33 Men Buried in a Chilean Mine and the Miracle that Set Them Free. 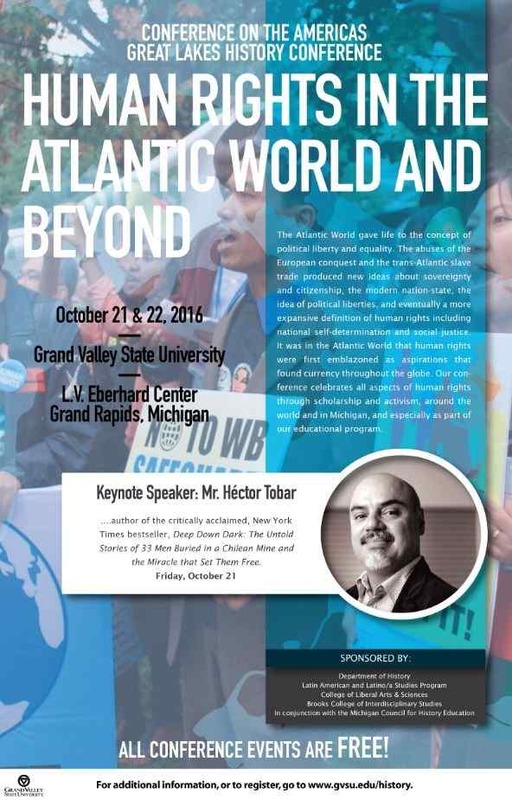 Mr. Tobar’s work examines the evolving and interdependent relationship between Latin America and the United States. The son of Guatemalan immigrants, Mr. Tobar writes for the Los Angeles Times and holds an MFA in Creative Writing from the University of California, Irvine. View the event flyer HERE !